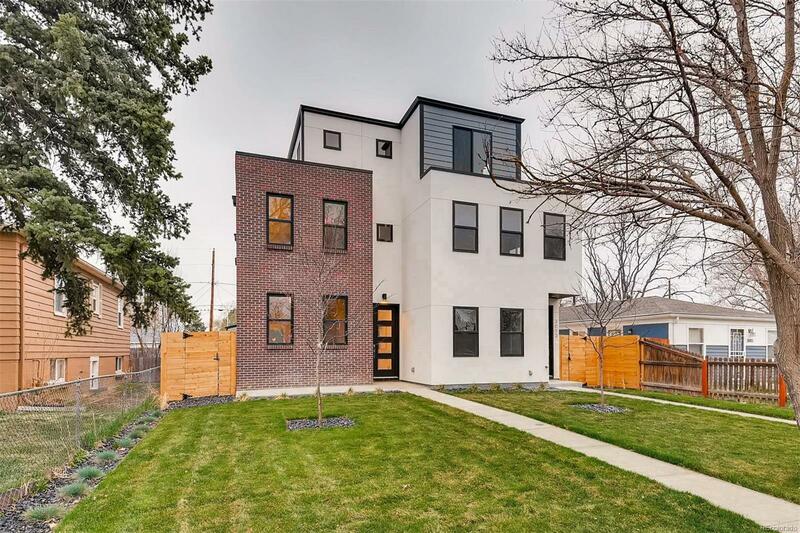 Amazing new build along south Broadway close to everything Downtown Englewood & SOBO has to offer! Big custom kitchen w/ two tone cabinets, solid quartz counter tops, large kitchen island & top of the line JennAir stainless steel appliances. Open floor plan throughout the main level w/ gray stained hardwood floors & half bath. Main level bedroom or office. Large living room w/ a stone tile surrounded gas fireplace. Second floor boasts an incredible master suite w/ huge bedroom, walk in closet & five piece bath. Also laundry area & a nice second bedroom with a connecting full bath. The third floor loft has another bedroom, 3/4 bath, wet bar w/ beverage fridge and a bonus room that connects to roof top deck. West facing rooftop deck w/ views of the entire front range! Nice backyard w/ patio space, gas stub for a grill, & room for the dog. Detached two car garage. Custom finishes throughout! All square footage is above grade, so no basement living! Just blocks from the light rail station!